Magdalene Survivors said the women who worked in the laundries are ‘flabbergasted’ that the State is allowing this to happen. The site of the former Magdalene Laundry in Stanhope Street in Dublin. 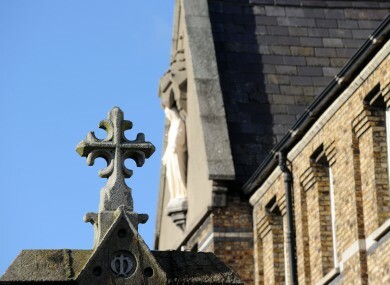 MAGDALENE SURVIVORS TOGETHER, one of the groups representing the women who worked in the Magdalene laundries, has strongly criticised the four religious orders who have refused to contribute to the redress scheme set up by the government. The Congregation of the Sisters of Mercy, Religious Sisters of Our Lady of Charity of Refuge, the Sisters of Charity and Sisters of the Good Shepherd, who ran the laundries, will not pay into the scheme which is set to costs the State up to €58 million. The Irish Times reports today that the congregations have said they are willing to work with the government in other areas such as providing records and offering care for woman who stayed with them. Speaking to TheJournal.ie today, Steven O’Riordan of Magdalene Survivors Together said that the women are “flabbergasted to think that the religious orders are being allowed to get away with not contributing when they were the main perpetrators of the crime and the injustice”. “I think we have to ask ourselves are we happy to allow them to get away with doing what they’ve done, not just to the women but to us as a society,” he said. O’Riordan said that the women are annoyed to hear the news as they see it as “another refusal by the nuns” to accept responsibility for the horrific conditions they endured at the laundries. Sinn Féin TD Mary Lou McDonald has sought a debate in the Dáil this afternoon on the issue which she said was “absolutely unacceptable”. “The bottom line is these four religious orders, and the State, were responsible for the effective wrongful incarceration of girls and women who were forced to work for no pay within a brutal regime,” she said. Earlier this year, Taoiseach Enda Kenny made a formal State apology to the women and pledged to establish a fund to assist the women based on the recommendations of Judge Quirke in his report. At the time of publication, three of the religious orders had not responded to requests for comment. A spokesperson for the Sisters of Mercy said that they have no further comment to add on the matter following its statement on the publication of the report. Email “Refusal of religious orders to compensate Magdalenes 'beggars belief'”. Feedback on “Refusal of religious orders to compensate Magdalenes 'beggars belief'”.